The Chairman & CEO of the Institute has twenty years experience of hospitality management education in India and in the international field. He is Director Marketing in HTMi, Switzerland and looks after their business development work in Asia, Middle East and parts of Europe. He has worked on several projects in opening new institutes in various countries. The Institute is being actively assisted in all its aspects by its Adviser, Mr. Shyam Suri, a retired I AS officer who was Secretary General of Federation of Hotel and Restaurant Associations of India (FHRAI) for many years. A Hotel Management Graduate and awarded with CHE (Certified Hospitality Educator) By AHLEI USA, Having experience of around 20 + year’s in Hospitality oriented job profiles related to Operation, Academics, training & development. Served as C.E.O/Principal with Ananta Institute of Hotel management, Unit of Ananta Hotels and resorts (Campuses in Jaipur, Pushkar and Udaipur) was actively involved in the mission of Corporate social responsibility and Skill development of the various Hotel Chains. 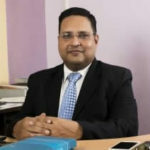 An eminent Hotelier worked as Principal ,Presidency College of Hotel management ,Bangalore and also as Principal with Jaypee Hotels training Center Agra ,Jaypee Hotels . He was Founder Director with International institute of Hotel management Jaipur, IIHM Jaipur was awarded as best private Hotel management college in the year 2013 in Rajasthan during his tenure. Served as principal with cambay Institute of Hotel management Jaipur and Udaipur. Also worked as training manager with Country Inn and suites by Carlson Jaipur, chef with Grand Hyatt Delhi and Radisson Chennai.